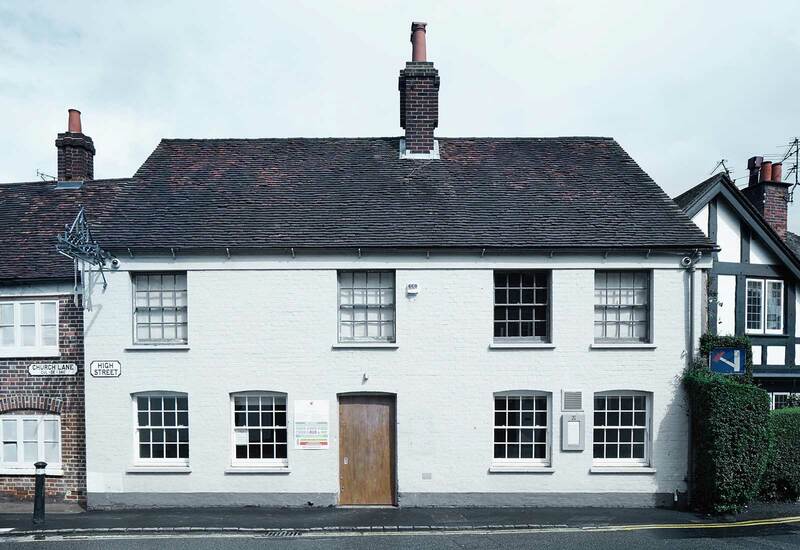 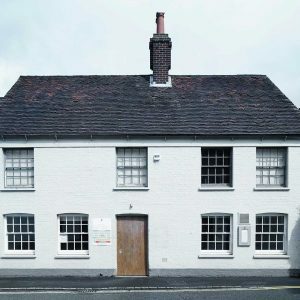 Brief: Redesign of the interior of the Fat Duck Restaurant, including expansion of the existing kitchen and update of the first floor wine room, waiting area, WCs and back of house, creating an environment that serves and celebrates the world-class cuisine the restaurant is famous for. 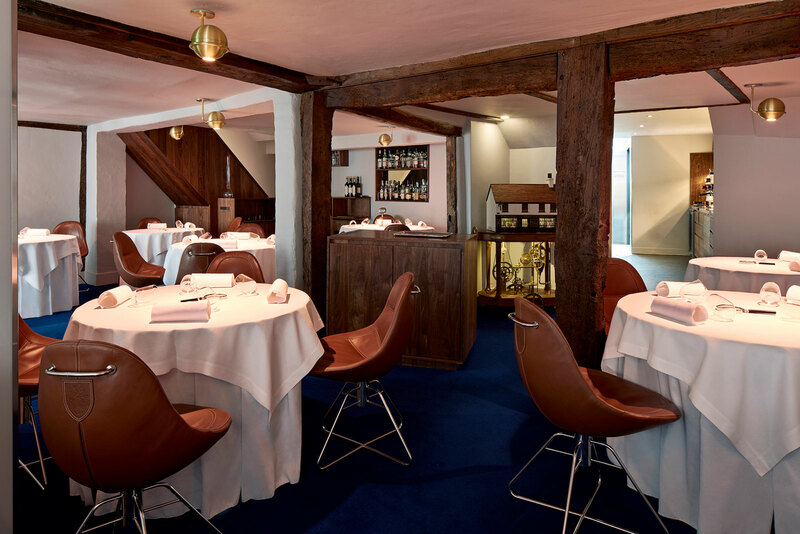 Asked to design the interior of one of the world’s greatest restaurants our approach was to be as reductive as possible, creating a simple but high functioning stage on which the theatre of the meal can unfold within a subtle yet stimulating environment that nurtures, supports and immerses the diner in enjoyment of their gastronomic experience. 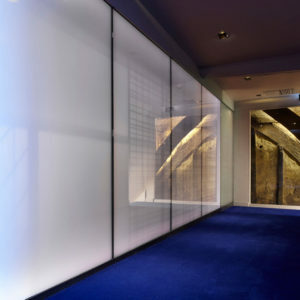 To achieve this all unnecessary interior elements were removed and covers reduced to allocate the maximum space possible for staff to attend guests. 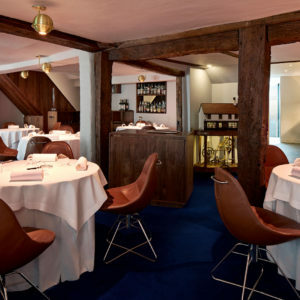 The dining space has been purposefully left free of art and all other visual distractions so that diners are able to focus fully on enjoyment of the taste, smells and appearance of their personalized feasts. 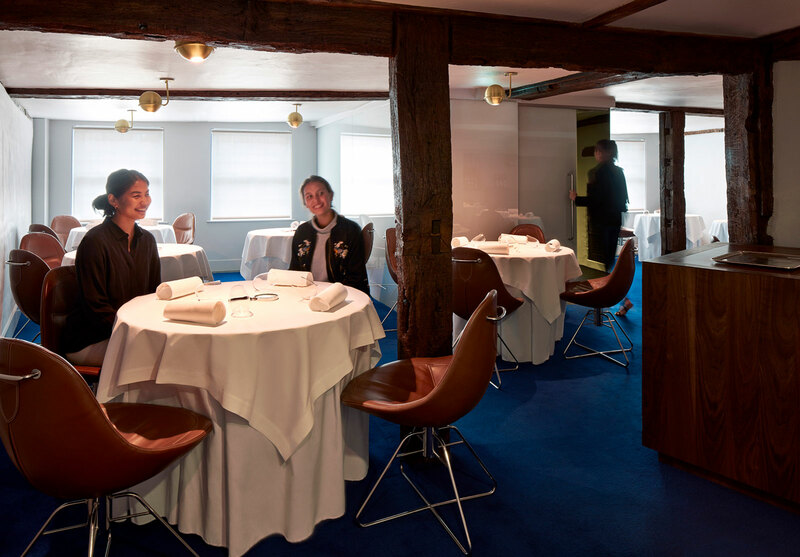 In order to understand the complex operational requirements of the dining space and waiting staff, we observed them closely during service, gaining insight into the rhythm of their movements and the atmospheric changes executed as part of the theatre of the meal. 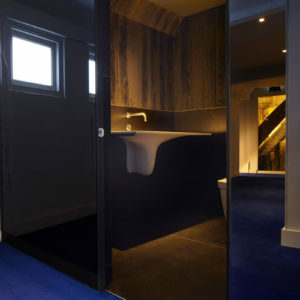 Seeing the way the space functioned in detail allowed us to establish the basis of our brief for the furniture and joinery and to ensure the final pieces worked hard as well as looking beautiful. 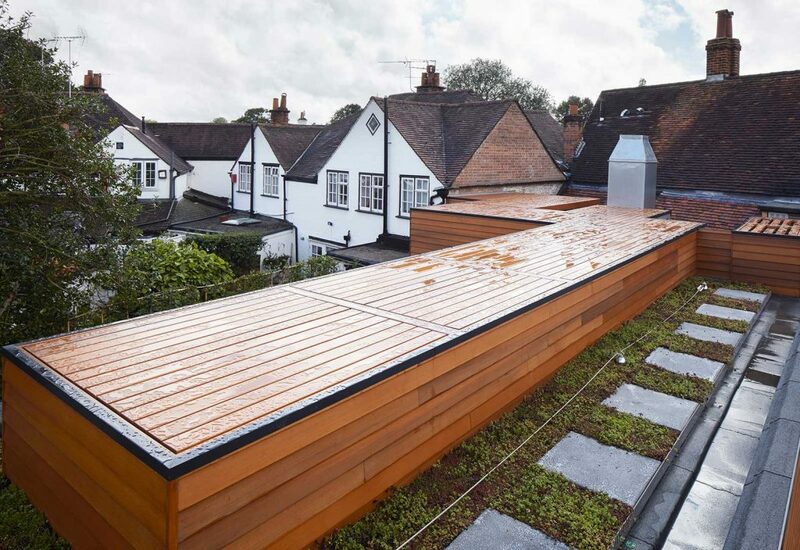 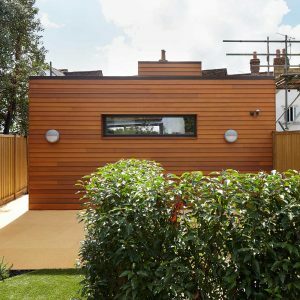 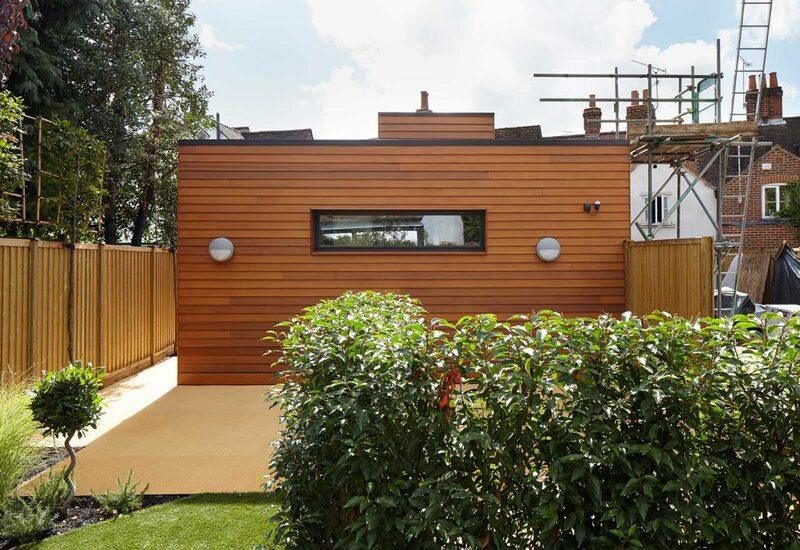 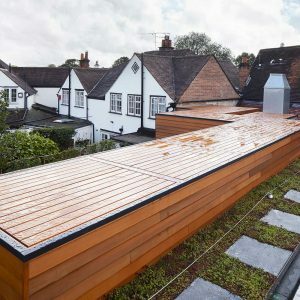 The kitchen extension took the form of a simple intervention, a square timber box with a low profile that allowed the historic architecture of the original building to be seen and enjoyed. 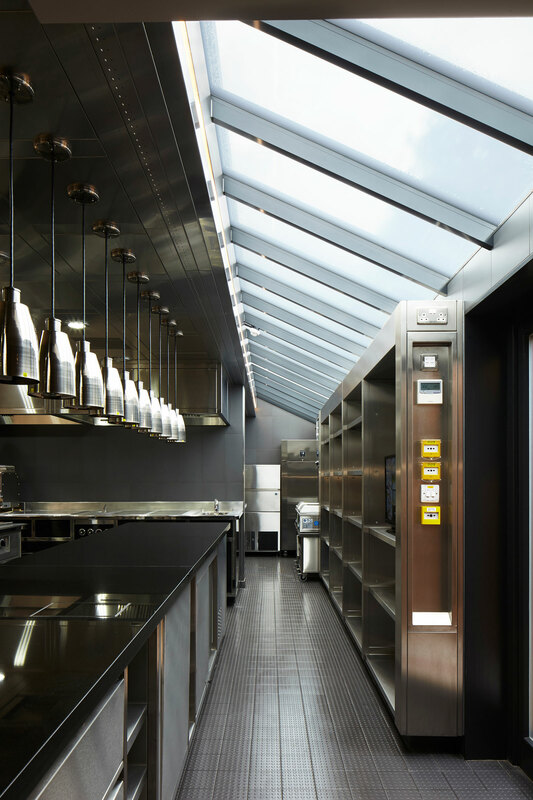 The neat, unassuming box contains a super high tech kitchen, designed to function effortlessly so food production is as stress free as possible. 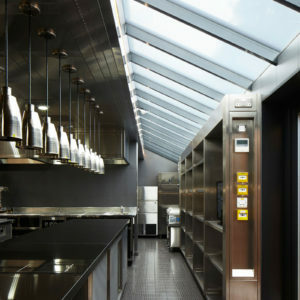 To humanize the space and support chefs in their culinary magic we installed skylights to bathe them in natural light and maximized views to keep them connected with the world outside during their long days. 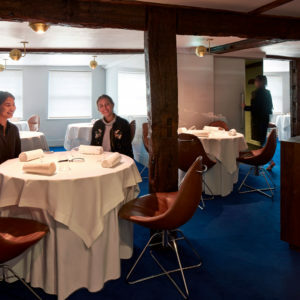 Visitors enter the restaurant through a mirrored anteroom, an orientation space that allows them time to acknowledge they are stepping out of real life and falling down a rabbit hole into Heston Blumenthal’s distinctive world. 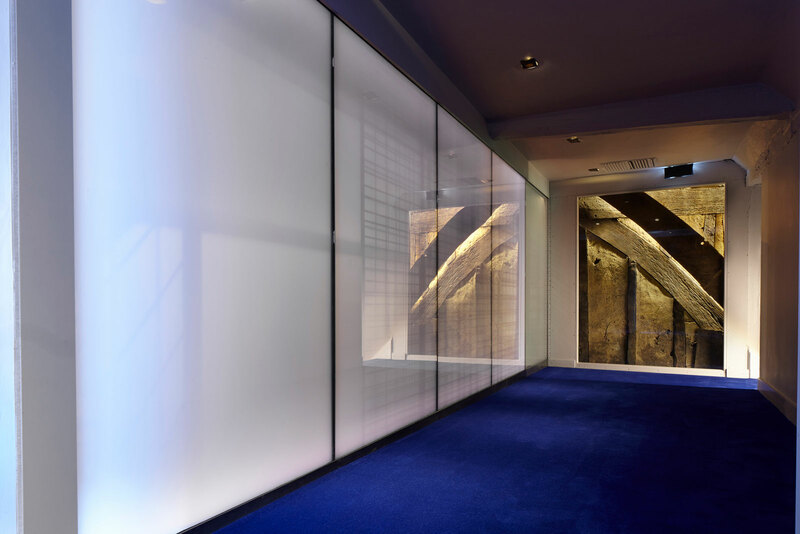 On entering, a deep ultramarine blue carpet carries them into the restaurant, where striking walnut furniture, white walls and the exposed timber of the original building’s structure create a serene yet rich environment – a stage set, ready for the performance to begin. 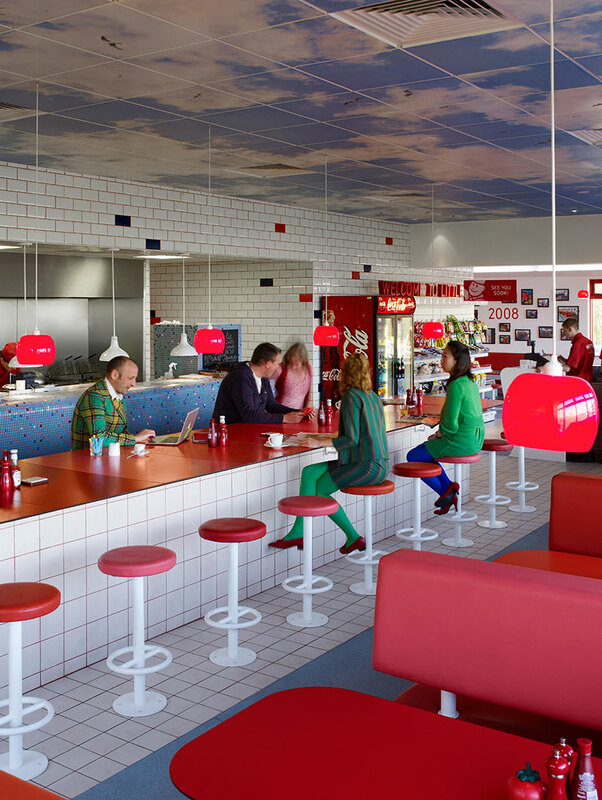 To support this performance we designed two bespoke interventions – a chair to nurture the diner, enfolding and comforting them throughout the 4-hour meal, while allowing free movement. And an individual table lighting system that changes colour and temperature as the meal progresses, keeping pace with the gastronomic journey as it unfolds. 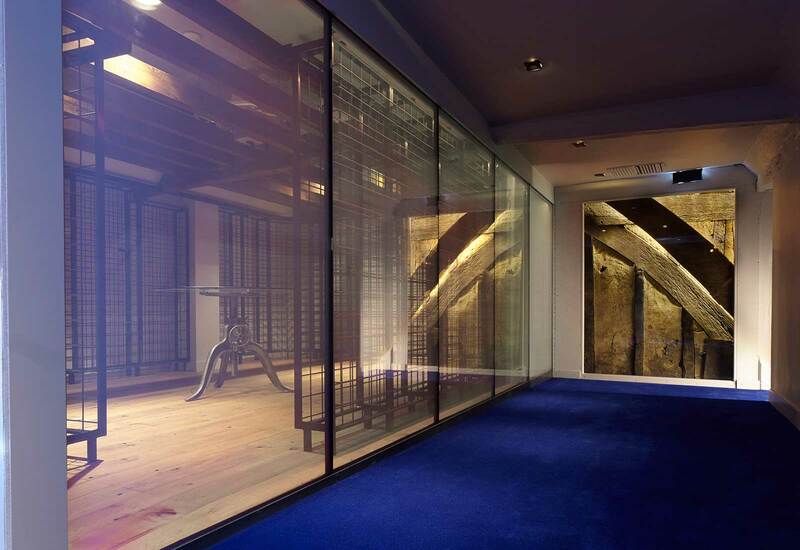 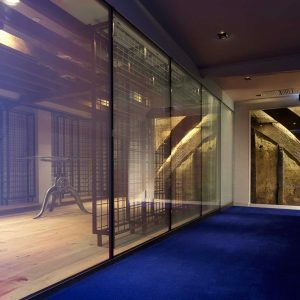 Climbing to the first floor visitors are greeted by a wine cellar walled in LED glass that seems to appear and then disappear, offering a tantalising glimpses of mysterious wine tasting equipment and a dazzling array of extraordinary wines. 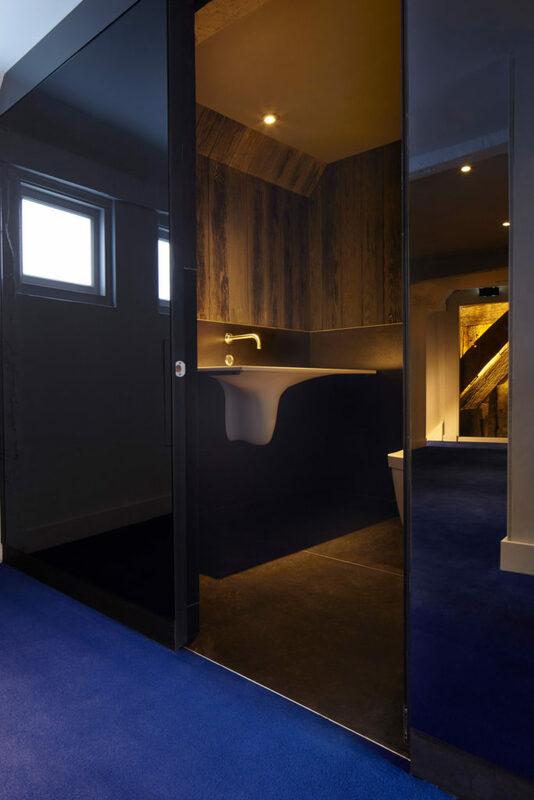 3 toilets constructed from dark burnt cedar impart a rich aroma redolent of the mysterious activities taking place in the restaurant’s kitchen.